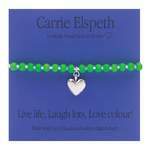 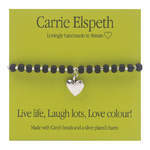 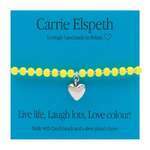 Carrie’s brand new Sentiments bracelets are just bursting with colour and energy! 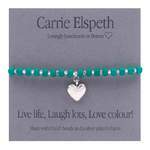 These exclusive Brights charm bracelets are made with gorgeous glass beads that have a frosted matt finish – the colours are fresh, cheerful and full of pizazz! 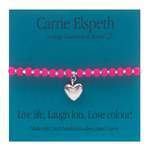 Each bracelet has a beautiful smooth, plump, silver-plated heart charm and the backing card is now even bolder to give a strong contrast and stunning final touch to these gorgeous gifts.